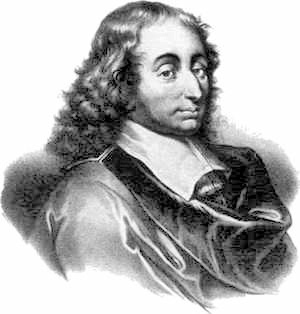 Blaise Pascal had a very keen mind and a tendency to apply it freely and easily to the thoughts and concerns of his day. He was born in provincial France but his mother died when he was only three years old. Consequently, his father raised him and his two sisters alone. They were taken care of but they lacked their mother and would spend many long hours yearning for her presence.Further, though they were Roman Catholic by birth and self-description their faith can best be described as nominal and insincere. Blaise found consolation, adventure, and release in mathematics. He was comfortable in the ivory tower of academia. He applied himself fully to his studies and was soon noted for his astounding brilliance and was acclaimed as a child prodigy. Blaise's much hallowed reason was justifiably dear to him but his philosophical and theological explorations led him to a place where he could see its limitations. Blaise never came to a place where he dismissed reason--as it was a valuable and important tool worthy of respect and appreciation by all--but he did, eventually, arrive at an understanding of reason rightly known--a tool (and a fallible one at that). So, even though reason was to be used continuously to analyze and consider the events and circumstances of the world, it was to be understood to be as weak as the wielder of it--in other words, reason and science aren't the problem, misuse of them is. For Blaise, reason was unfit for the ultimate pursuit of truth because truth was more than "the case that is" or some long list of propositions but, rather, it was a person(John 14:6). Blaise writes, "It is the heart which perceives God and not the reason. That is what faith is: God perceived by the heart, not by the reason." Further, he deduced: "It is incomprehensible that God should exist, and it is incomprehensible that he should not exist." For Blaise, reason was an incomplete tool by itself and required right use to be effective. When he attempted to fill the hole he felt, he found that reason and rationality could not persuade and were, in fact, as weak as his will to use them. He concluded: "For after all what is man in nature? A nothing in relation to infinity, all in relation to nothing, a central point between nothing and all and infinitely far from understanding either. The ends of things and their beginnings are impregnably concealed from him in an impenetrable secret. He is equally incapable of seeing the nothingness out of which he was drawn and the infinite in which he is engulfed." This was not because he doubted reason and science but because he doubted the ability of the part of the system to understand the whole that formed it--he doubted the ability of the creation to comprehend the creator. Blaise had found the right place and limitations of not only reason but, also, himself and everybody else. Ultimately, for Blaise, truth was found in earnest seeking after God. He experienced numerous mystical events including a healing of a woman with fistula lacrymalis and a mystical vision. It was in these moments of mystical truth that Blaise found comfort--not in his moments of great academic achievement. 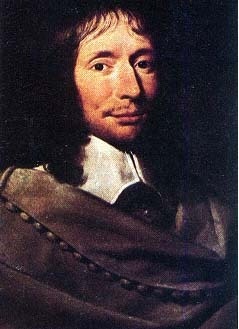 For a man to whom astounding intellect was a foregone conclusion, it is notable that he found his greatest satisfaction and fulfillment in the pursuit of an elusive mystery like love of enemies and redemption of broken people and sinners.It was not cold rationality that brought about Blaise's conversion to truth but, rather, the hallowed pursuit of the one who is Truth. In the end, Blaise contributed again and again to theology and philosophy and died as a Christian committed to following The Truth. He died a Christian and found the rest in the Truth that he had been seeking all those years.